Steffanie found her passion for the stage at the age of eight years old. Growing up in Richmond, BC she attended dance and musical theatre classes as a child. In 1998 she appeared in her first production at the Gateway Theatre as a munchkin in The Wizard of Oz. During high school Steffanie’s focus was split between jazz music and theatre. She sang in the BCMEA honours jazz ensemble and in an award winning funk band. She also performed in school productions and wrote/directed several one act plays. 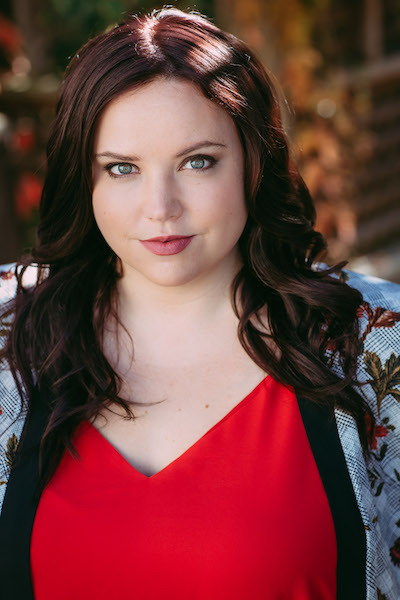 Post secondary she spent three years at Capilano University in the Musical Theatre Program from 2009 to 2012. Since then she has been an active member of the Vancouver community and cannot wait to continue growing and developing her craft. Some recent credits include Grease (Chemainus Theatre), Go, Dog. Go! (Carousel Theatre), the world premiere of The Best Laid Plans: A Musical (Touchstone/Patrick Street Productions) and the Canadian Premiere of Heathers: the Musical (Frolicking Divas). Steffanie has also performed with Theatre Under The Stars, Gateway, the Vancouver Fringe Festival, among other companies in her community. In her spare time Steffanie loves listening to jazz music, playing scrabble, hot yoga and doing stand up comedy.